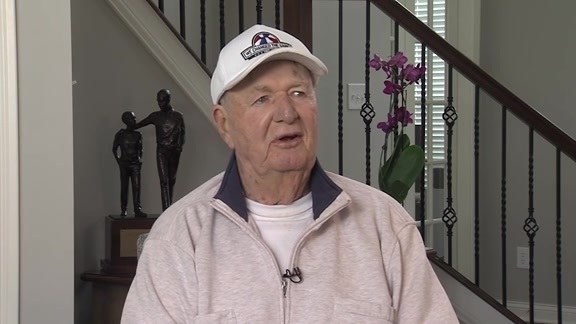 Let's suppose, for a moment, the American Basketball Association had never been formed in 1967 and Bob Leonard had continued living in Kokomo, peddling graduation supplies and class rings to high schools throughout northern Indiana while raising a family with his wife, Nancy. Let's suppose his coaching career with the Baltimore Bullets, which ended in 1964, had been the last time he drew a paycheck from a basketball team, and that he had simply drifted off into the "real world" life of a salesman. What would we think of him today? What would be his reputation if he had never led the Pacers to ABA championships, never worked for the Pacers as a broadcast analyst, never achieved induction into the Naismith Basketball Hall of Fame? He'd still be a pretty big deal, actually. 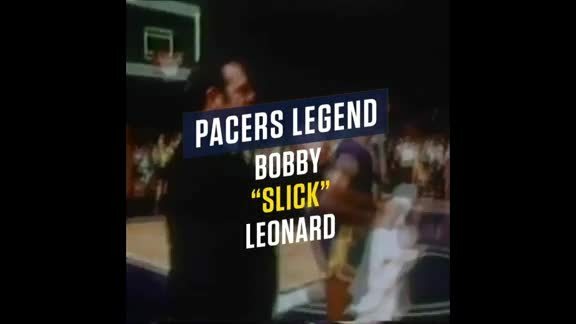 "Slick" Leonard will be the next Hickory Night honoree on Saturday when the Pacers meet Dallas at Bankers Life Fieldhouse. Generations of fans know him only as a broadcaster, whose homespun approach and trademarked exclamation of "Boom Baby" after every Pacers 3-point basket has made him a legend throughout the state. 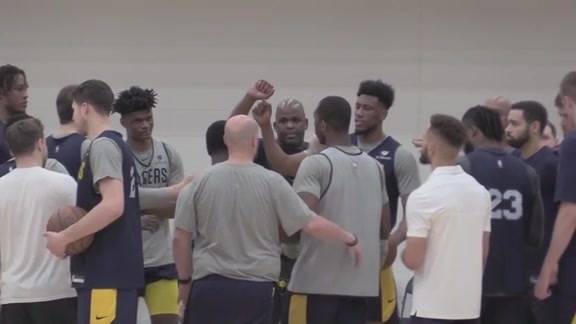 Older generations remember him for coaching the Pacers to three ABA championships and to the league finals in two other seasons, becoming a primary factor in the team's early survival. 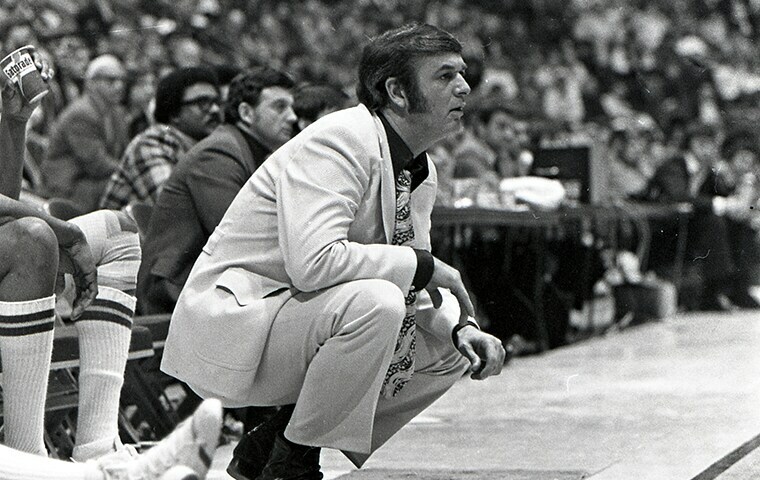 Had Leonard's career in basketball never intersected with the ABA, however, if it had ended after he was fired as coach of the Baltimore Bullets in 1964, his place in Indiana's basketball history would be secure. He would still be in the Indiana Basketball Hall of Fame, would still be deserving of Hickory recognition. It would include a standout high school career at Terre Haute Gerstmeyer, where he curiously wasn't named to the Indiana All-Star team for the annual series with Kentucky (except as an alternate) but was good enough to lead his conference in scoring as a junior and senior and earn scholarship offers from the likes of Indiana University and the University of Kentucky. It would include a career at IU in which he hit the game-winning free throw for the NCAA tournament championship in 1953 and earned third-team All-America honors as a junior and second-team recognition as a senior. And, it would include seven-year playing career in the NBA that was cut short by a series of shoulder separations. Leonard retired at age 30 with a career average of 9.9 points, but a resume that included a 42-point outing for the Minneapolis Lakers in a playoff game against the St. Louis Hawks at the end of his rookie season (1956-57) and a 39-point game for the Chicago Packers in a regular season game at New York on Jan. 23, 1962, his last full season as a player. All that would stand tall in the annals of Indiana's basketball tradition, even if he had never drawn a paycheck from the Pacers. It would have been a career beyond the realm of many who qualify as legends of Indiana basketball. In a sense, his coaching and broadcasting career with the Pacers has clouded his accomplishments as a player. It's difficult to believe anyone captures and encompasses the spirit of "Hickory" better than Leonard. A kid from the wrong side of the tracks, he grew up playing in driveways and playgrounds in Terre Haute, took his game to Bloomington, left the state for a professional career delayed two years by a peace-time stint in the Army, then returned to Kokomo to begin what he assumed would be a peaceful life after basketball. The ABA sent him careening on an unanticipated path. He was asked to monitor the open tryout for the Pacers in June of 1967 and then hired as the Pacers' coach in 1968. His career with the franchise continues today, interrupted only by a couple of years in the early 1980s after his coaching career ended and before his broadcasting career began. Before Leonard's 50-year run with the Pacers, two signature moments stand out that reflected what he would become as a player, coach and man. In an outing for Gerstmeyer, he showed off both his "slick" and competitive nature. A teammate was fouled in the final seconds and was faced with the challenge of game-winning foul shots. But, according to an account in The Indianapolis News in later years, Leonard "shooed the offended Gerstmeyer player away from the line and the excited officials and opponents failed to notice the switch." The pressure of that moment was nothing, however, compared to what Leonard faced at IU in the championship game of the 1953 NCAA tournament when the Hoosiers were playing defending champion Kansas, in Kansas City. The score was tied when Leonard drove to the basket and drew a foul with 27 seconds remaining. He missed his first attempt but hit the second for a 69-68 lead. Kansas missed a shot from the right corner on its final possession, and Leonard was carried off the court along with coach Branch McCracken. Leonard freely admits to being "scared to death." He admitted it then, too. When reporters told him McCracken had bragged that his junior guard had ice water in his veins, he delivered one of his classic lines: "If that was ice water, it sure felt awful warm when it was running down my leg." Leonard's competitive ferocity, bravado, poise, honesty and humor took him a long way in basketball. They've taken the Pacers a long way, too, and fans have gone along for the ride. It's time he be celebrated for it.